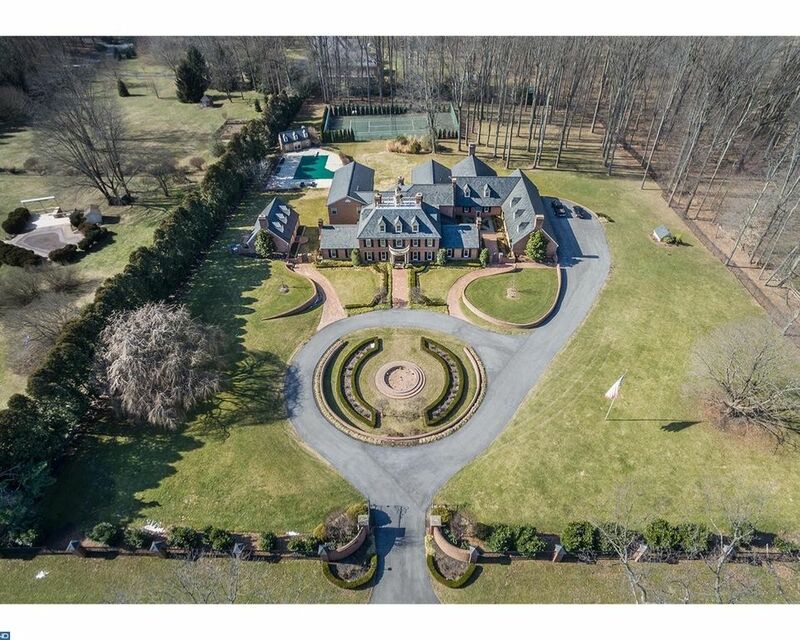 This majestic Willistown Estate offers the rarest combination of classic Architectural designs, premier construction, and breathtaking renovations and expansions, blended seamlessly throughout. It features only the finest materials, amenities, and craftsmanship within the interior as well as the extraordinary outbuildings and breathtaking grounds. Features include beautiful moldings and millwork, site finished wide plank floors, a premier Gourmet La Cornue Kitchen, spectacular 2-story Family Room with exposed stone walls, sun-filled entertaining and living spaces leading out to the glorious, private grounds, luxurious Master suite, 5 additional spacious Bedrooms, 3 with custom tiled en-suite baths and 2 with Jack and Jill bath, incredible finished Lower Level, charming 3 Bedroom guest house with full Kitchen and Bathroom, beautiful pool with pool house and more. Enjoy living and entertaining in gated vacation surroundings, while being only minutes from renowned schools, all forms of transportation, The King of Prussia Mall, Center City Philadelphia, The International Airport, and 2 hours from New York City. Absolute move in condition!